On Sunday 25th supporters of the far-right will be gathering in Dover supposedly to ‘support the truckers’. Their Facebook page says the group ‘Support the Calais to Dover Truckers’ is to support “truckers who are under constant attack from illegal immigrants”. When this group first popped up last year you might have been forgiven for thinking it was some Daily Mail-esque racism-lite. 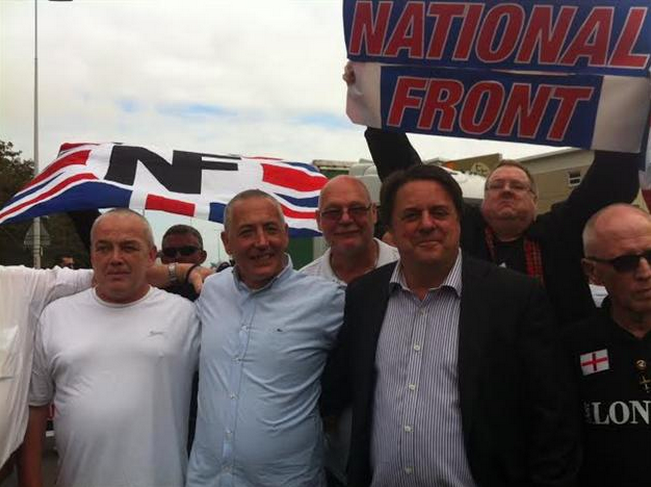 However, when the group held their first demo on 27th September, it was very clear that this was not the case – the main component of the demo appeared to be from the National Front, and they were joined by the now rudderless free-floating Führer-without-a-Volk Nick Griffin and also Paul Prodromou of the South East Alliance. So no beating around the bush – proper old-school fascism then. Unsurprisingly they had no support or participation from any actual truckers. The ‘Support the Calais to Dover Truckers’ page has now dropped any pretence of not being a far-right page and is full of stuff from the NF and the Infidels. This Sunday we can probably expect something similar to last time – approximately 50 members of the NF and other tiny fascist groups walking from the pub to the Port and back again. Paul ‘Pitt’ Prodromou will be hoping to build on his recent telly appearance on ‘Angry, White and Proud’. We must make sure that the fascists do not get to take to the streets of Dover and spread their racism unopposed. The NF et al are planning their demo to coincide with a demo by French fascists associated with the group Sauvons Calais (“Save Calais”) who will be protesting on the other side of the channel. They will of course be opposed by French anti-fascists from Action Antifasciste Nord-Pas-Du-Calais (NP2C). 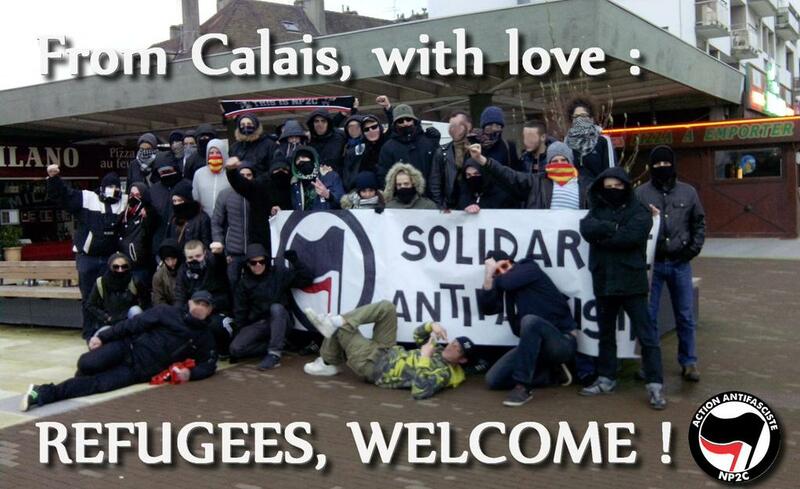 London Anti-Fascists have previously established good links with anti-fascists from the Calais area and travelled over to support the migrants in Calais and local anti-fascists resisting Sauvons Calais. 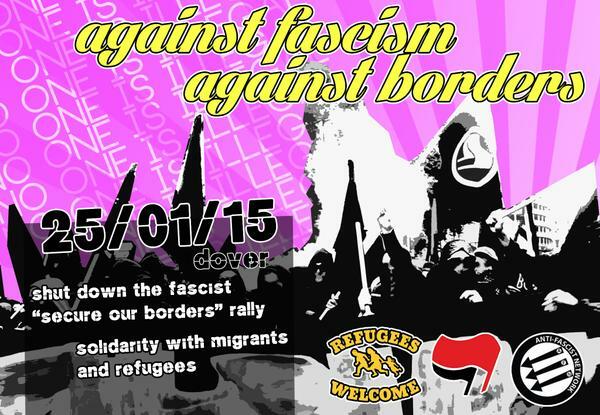 The far-right demo is scheduled for 1pm at the Port of Dover. For more info or to book transport from London email: ldnantifascists@riseup.net or contact your local AFN group.